Lemon, bananas, raisins, and spices give punch to this kiwifruit chutney used as a condiment. It's a sweet and savory blend that adds elements beyond simply turning your fruit into jam. This chutney is especially good served with light meats such as chicken and pork. It also makes a delightfully different spread for toast or crackers. Also, enjoy it on grilled cheese sandwiches to turn them into a foodie comfort food delight. 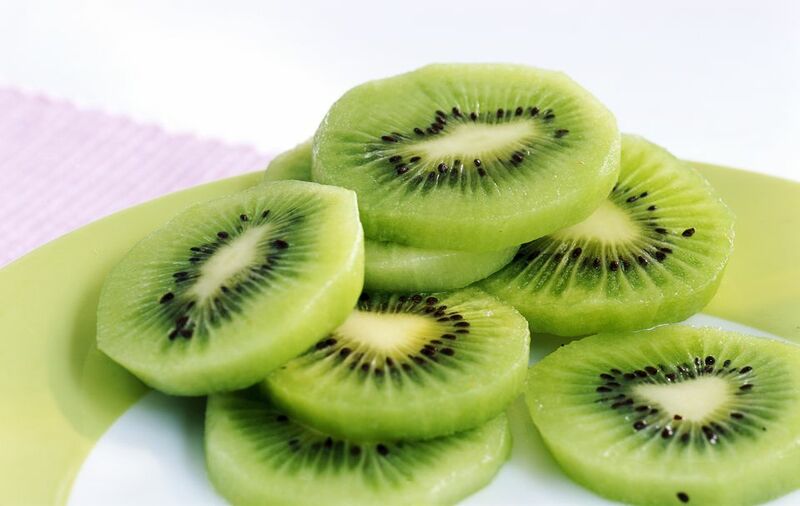 If you grow kiwifruit, you may wonder what to do with it other than eating it fresh. This recipe is one way to preserve it to enjoy throughout the coming months. You might also think about giving it as a gift from the kitchen. Select attractive small canning jars and make labels to give it as a small gift to those on your holiday list. Add a ribbon or bow. Include suggestions for recipes using the chutney to inspire the recipients. This recipe produces four cups of chutney and will need to be canned properly to preserve it. Place kiwifruit, bananas, sweet onions, lemon zest, lemon juice, raisins, brown sugar, ginger, cayenne pepper, allspice, nutmeg, cardamom, salt, and white vinegar into a heavy saucepan. Bring to a boil, lower heat, and simmer uncovered about 1 hour until thickened. Be sure to watch to ensure that it doesn't scorch as it thickens. The chutney is the right consistency when you pull a spoon through it and the path doesn't immediately fill in. Or, take out a small spoonful and if it remains heaped up on the spoon, it's thick enough. If you don't want to can the chutney, you can store it in the refrigerator and use it within a few weeks, or even freeze some if you wish. However, if you are going to can the chutney so it is stable on the shelf for months or to be given as gifts, you'll need the next steps. Sterilize your canning jars by boiling for 15 minutes. Prepare the lids according to the directions of the manufacturer. Fill the jars with chutney leaving at least 1/2 inch of headspace. You do not want the chutney to touch the lid. Place in hot water bath and bring to a boil, following the manufacturer's instructions according to the lids and seals you have chosen. After the jars have cooled and you have tested the seals, label the jars with the contents and the date you prepared them. If any of the jars fail to seal, you can still keep them in the refrigerator and enjoy the chutney over the next few weeks. Sealed jars can be kept in a cool, dark place for as much as a year.